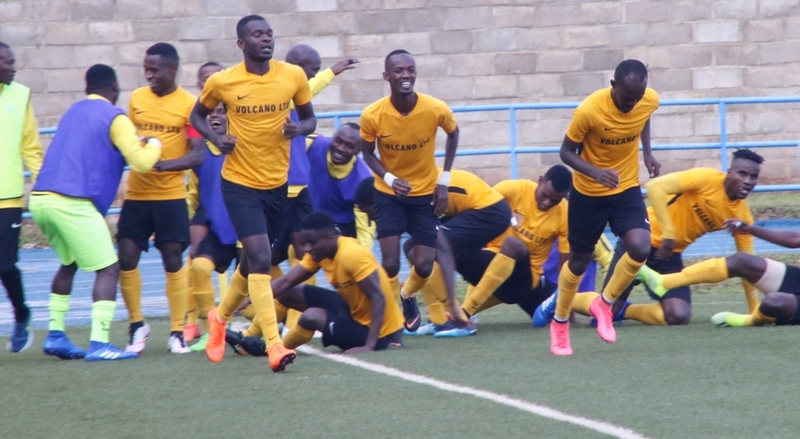 Rwanda’s Peace Cup holders Mukura VS has cruised to the first round of the Total CAF Confederations Cup after defeating South African side Free State Stars 1-0 in the return leg of the preliminary round staged on Wednesday at Huye Stadium in Southern Province. A brilliant header from centre-back Nshimirimana David from Ciza Hussein’s cross earned the hosts a deserved win and qualification to the next round. Mukura VS could have won the game with a bigger goal margin but Onesme Twizerimana, Bertrand Iradukunda and Ndayishimiye Christophe waste several chances. Free State Stars came into the game without an appetite of finding the net as they only opted to play a defensive game. Rwandan international goalie Olivier Kwizera started from the bench of Free State Stars as he came in with ten minutes to the end of the game replacing first choice goalie Mbambo Samkelo. The Huye-based side who were returning to continental football for the first time since 2001 will now face the Al Hilal Ubbeid of Sudan who got a bye to the first round of the Africa’s second biggest club competition – the Total CAF Confederation Cup. Mukura VS remains the only Rwandan side in continental football after Azam Rwanda Premier League champions APR FC were knocked out of the Total CAF Champions League following a 3-1 loss to Tunisian outfit Club Africain in Tuesday’s return leg of the preliminary round staged in Rades.